After downloading the SkyChunk map, you will find yourself on a very small island. You are surrounded by emptiness and now survival becomes impossible complicated. On this island you will find a few trees, flowers, pumpkin and sugar cane. Also, you need to carefully search for iron ore under the ground. Before you break something, think carefully. After all, there are very few resources and each of them is of great necessity. After seeing the screenshots, you will understand the complexity of survival. 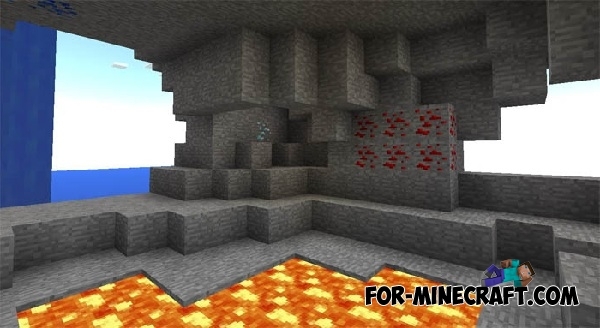 Impossible Quiz map for 0.11.0Impossible Quiz - is an amazing Map for Minecraft Pocket Edition, which will make you crazy.